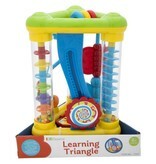 The colorful Learning Triangle from KidSource offers 5 sides of action-packed fun to keep babies busy...busy having fun! 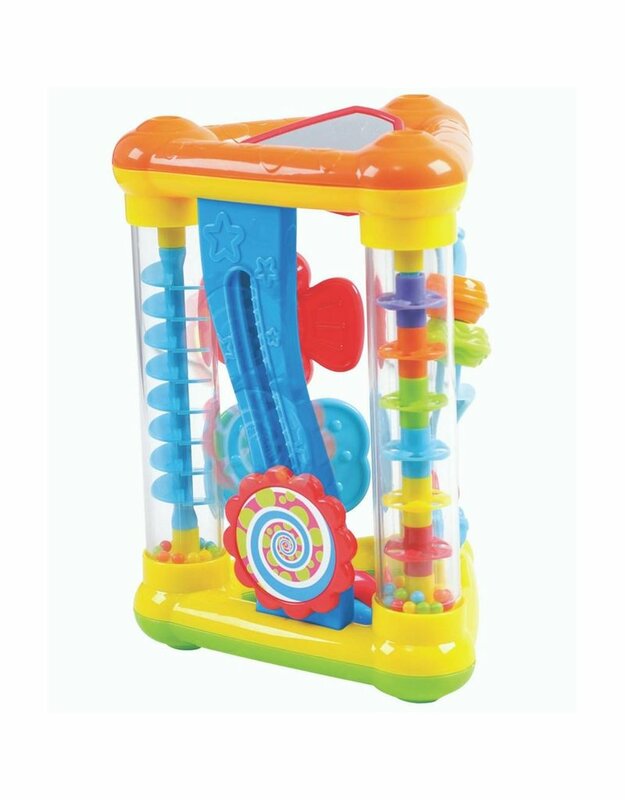 There is just so much to play with on this toy that babies love: spinning the butterfly shapes, bouncing and sliding the textured beads, looking in the mirror, and turning it over and over to watch the beads trickle and spiral down making a soothing rainstick sound, any baby will be thrilled with the endless sensory exploration. 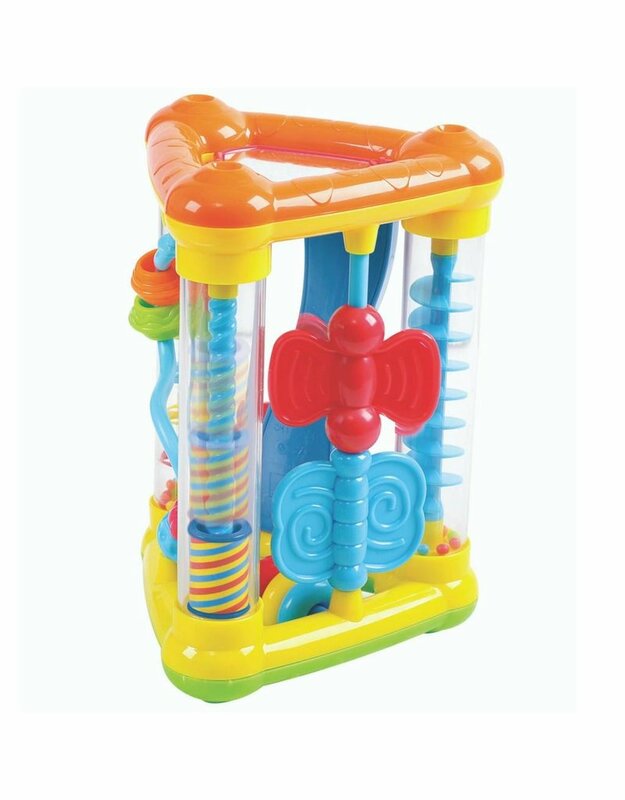 The baby-friendly design - it’s easy for small hands to grasp, hold and manipulate, combined with appealing bright colors, makes this a toy that we know will quickly become a favorite. 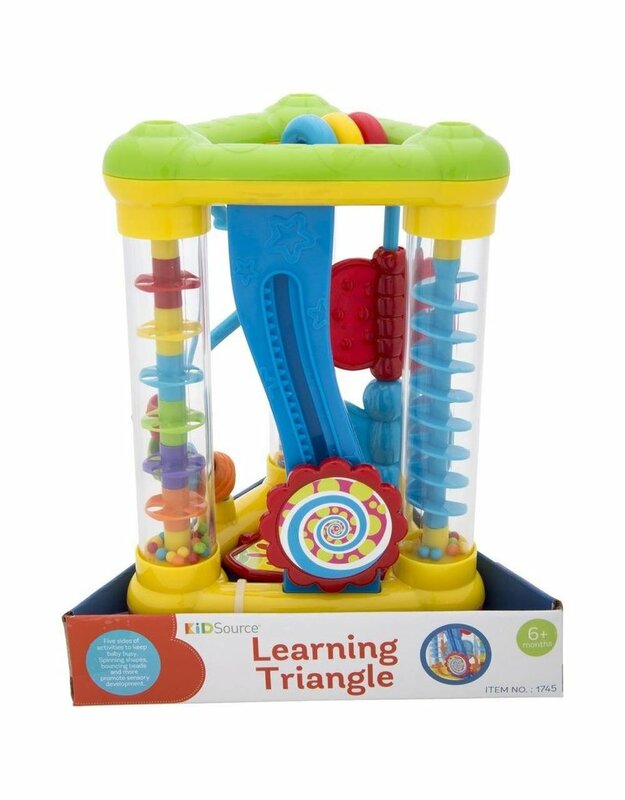 And you will enjoy that the Learning Triangle promotes important early sensory development and skill building, like eye-hand coordination, in a fun and engaging play experience. 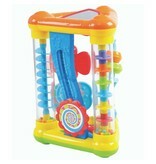 Learn to play and play to learn with Early Play toys from KidSource. 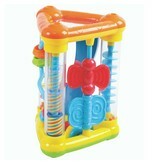 This colorful collection of toys engages young learners with sight, sound and touch. You can buy a KidSource product with confidence, knowing we truly care about providing quality products that provide enriching play for little ones!